I originally shared my Dairy Free Flaxseed Waffles with you all a long time ago. 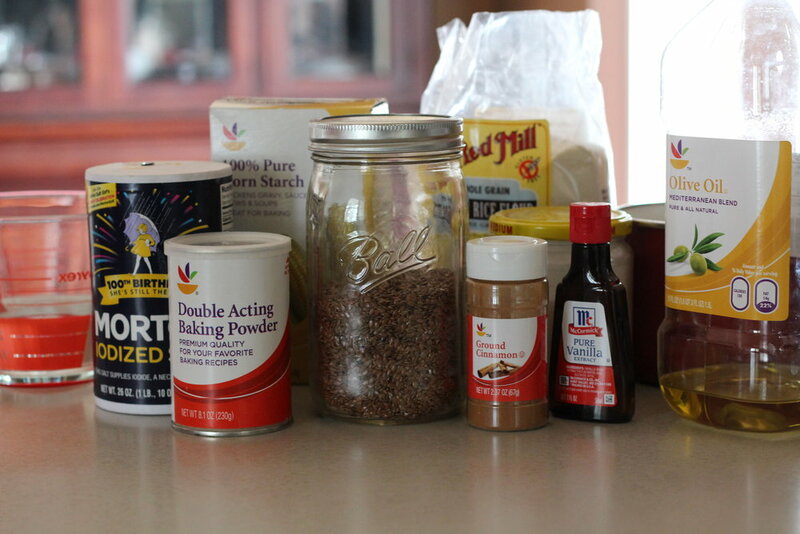 This is a recipe that I created when my son was an infant and had numerous food allergies. He was so sensitive that I had to drastically alter what I was eating because I was nursing him and whatever I ate affected him. This recipe became a favorite and we continued to eat it long after he outgrew the allergies. But now, I'm the one with the food sensitivities and I found myself missing these waffles as I continued to make them for my kids and husband. 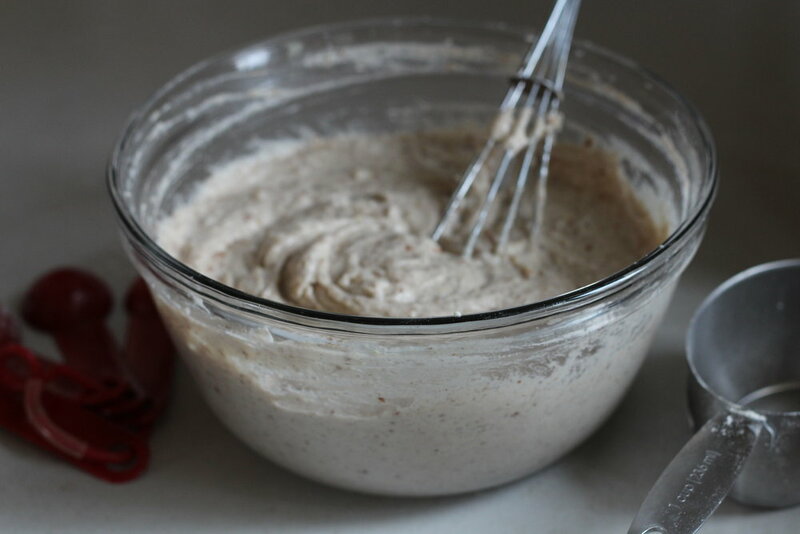 I worked on altering this recipe to make it gluten free for quite a while. It seemed like I couldn't retain the original flavor when I made them gluten free. 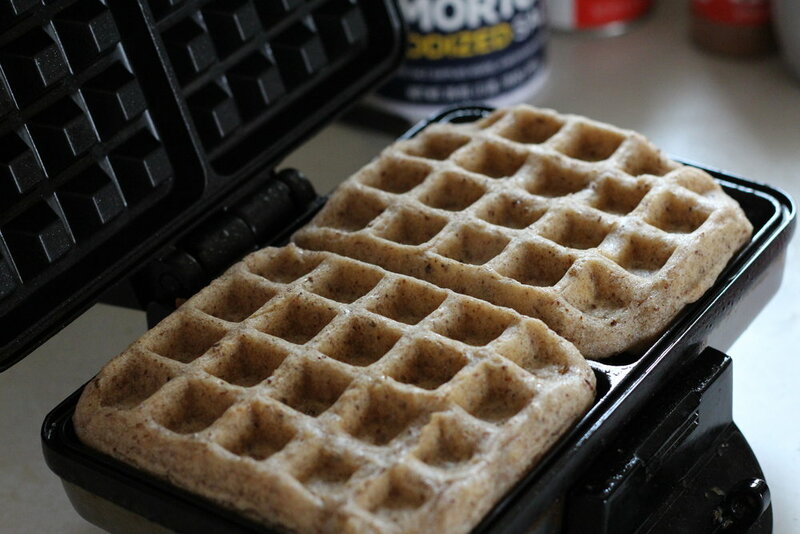 I experimented with different kinds of gluten free flours and different combinations of flours but always the result was either they wouldn't cook all the way through in the waffle iron or else the flavor was not what I was trying to achieve. Finally, one day I nailed what I was going for, a gluten free waffle that cooked quickly and tasted almost identical to the original flaxseed waffles. I was never so happy to eat a waffle! And the recipe passed another important benchmark, my kids loved them. Even the neighbor girl that I watched before school some mornings and isn't accustomed to our way of eating loved them! At long last, gluten free and dairy free flaxseed waffles! Grind up whole flaxseed in a coffee grinder for 5-10 seconds. Add the ground of flaxseed to a medium bowl and pour in 3/4 cup of water. Whisk until frothy. Add the remain wet ingredients and whisk together. 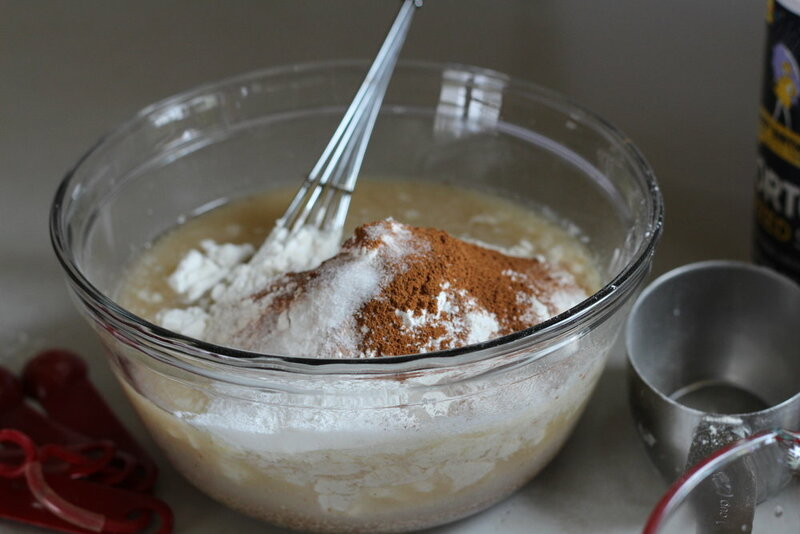 Add all the dry ingredients and whisk until the ingredients are combined. There will be lumps. That's normal. Plug in the waffle iron and preheat it. If yours takes a long time to heat up, you may want to turn it on before you start making the waffles. Mine only takes a few minutes and I like the waffle batter to rest a few minutes before cooking them. Once the iron is hot, spray it lightly with cooking spray and add how much batter you need for the size of your iron. Mine takes about 1/3 of a cup of batter for each waffle. Cook the waffles until the steam coming out of the iron slows down. Takes about 5 minutes. The waffles should be a golden brown with a very slight crunchy outside when they are done. These waffles are great for reheating the next day too. Just store leftovers in the refrigerator then reheat in a toaster oven or microwave. Or make a double batch and freeze some for super easy mornings! Just defrost slightly then pop in a toaster and breakfast is served.